The Ducks needed a bounce-back win after their blowout loss to Colorado, and earlier this week they got exactly that when they beat the California Golden Bears 73-62. Oregon will be looking to continue its win streak Sunday night when Stanford comes to Eugene. Both teams are in a four-way tie for sixth place in the Pac-12, so this game should be a close one. Stanford is on a three-game win streak, with its last win being an impressive 83-60 beat-down of Oregon State in Corvallis. The Beavers have been having a particularly good season, so the fact that the Cardinal was able to go into Gill and beat them like that is a big statement. In that game, the Cardinal was led by Oscar da Silva and Josh Sharma, who put up 23 and 20 points respectively. Da Silva was all over the court with 9 rebounds and 7 assists to go along with his 23 points. Outside of Da Silva and Sharma, the Cardinal also have a standout player in KZ Okpala. The 6-9 sophomore forward is athletic and hard-working, which has led him to become one of the best shooters in the conference. Although he had a relatively quiet night against the Beavers (10 points), against Cal he went off for 30. Okpala also has a knack for getting to the free throw line, which could be a problem for Oregon’s foul-prone big men. Another player the Ducks should keep an eye out for is sophomore guard Daejon Davis. On any given night, you can find Davis all over the court. He is the team leader in both assists and steals and second on the team in scoring. If Davis plays at a an elevated level, he can bring the whole team up with him. Against Cal, the Ducks returned to what had made them successful before their Colorado loss. In Boulder, the Ducks couldn’t buy a basket, but against the Golden Bears the Ducks' shots were falling, especially jumpers. 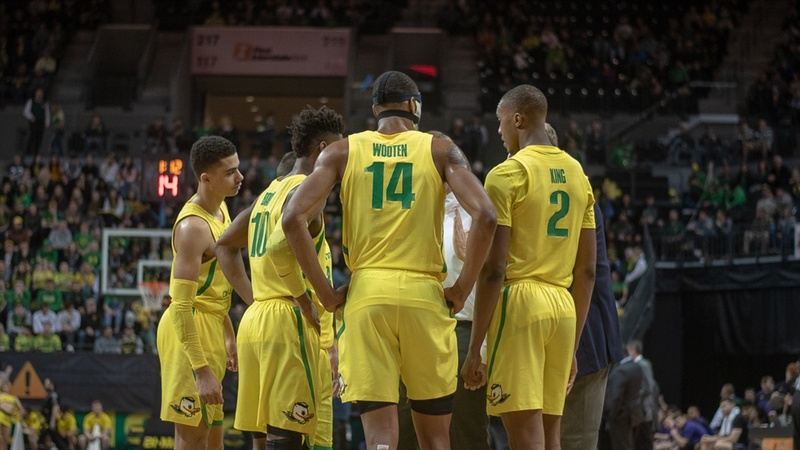 Offense is the key to any team winning, but it is especially important for the Ducks because of how much they rely on the full-court press, which can best be clamped down after made baskets. I think the biggest key for the Ducks winning this game is keeping it close in the first half. Oregon tends to not really start playing until the second half, and that has gotten them in trouble in the past. If Oregon can contain Stanford’s production in the first half, I think the Ducks have a good chance of winning this game.